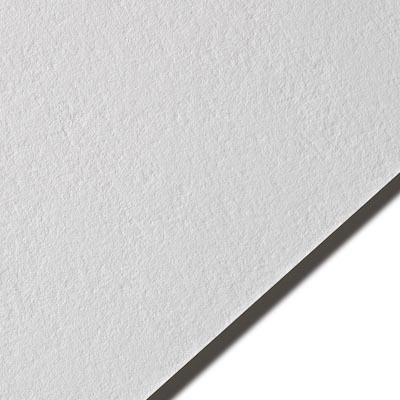 Production of fine art papers by the Lana mill in France goes back to late 16th century. 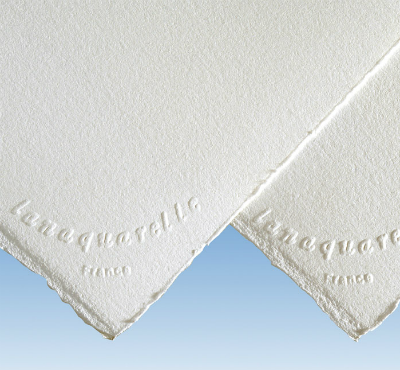 Lanaquarelle is only one of many fine art papers produced by this mouldmade and machinemade mill. The sheet has gained enormous popularity by printmakers as a result of not being heavily sized and works incredibly well for flat bed lithography, intaglio and serigraphy especially in the larger format size of 40 x 60 640gsm. 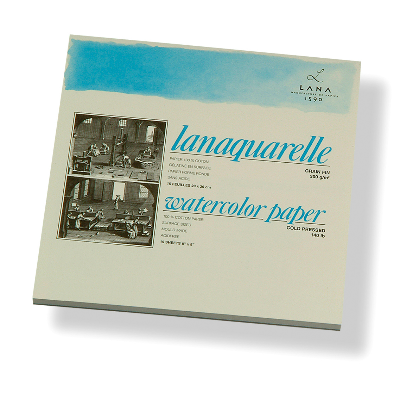 Lanaquarelle was the very first watercolor range to offer a very white shade of paper. The range now is available in both sheets and rolls. Refer to the size chart below.